François Delarue (UNS) is the coordinator of the Probability and Statistics team of the Laboratory of Mathematics J.-A. Dieudonné, which he joined in 2009. As a researcher, he works on stochastic processes and their connection with PDEs, both from the theoretical and numerical points of view. Recently, he started to investigate the modelling of carbon markets. 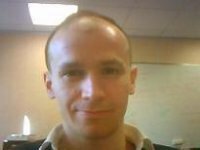 As a teacher, he has been the local coordinator of the MathMods MSc Programme in Nice since 2011 and he has taught stochastic calculus with applications to mathematical finance both in Paris (University Paris 7-Diderot) and in Nice since 2005.